I would like to welcome you all to Dr. Tran BioSci. As a medical doctor and market expert, I'm well known in the market and the digital media community. For newcomers, I wish to share my background and missions for this consultancy. In 2013, I founded Retail Investor 360 and Vincata Enterprises LLC to help investors. 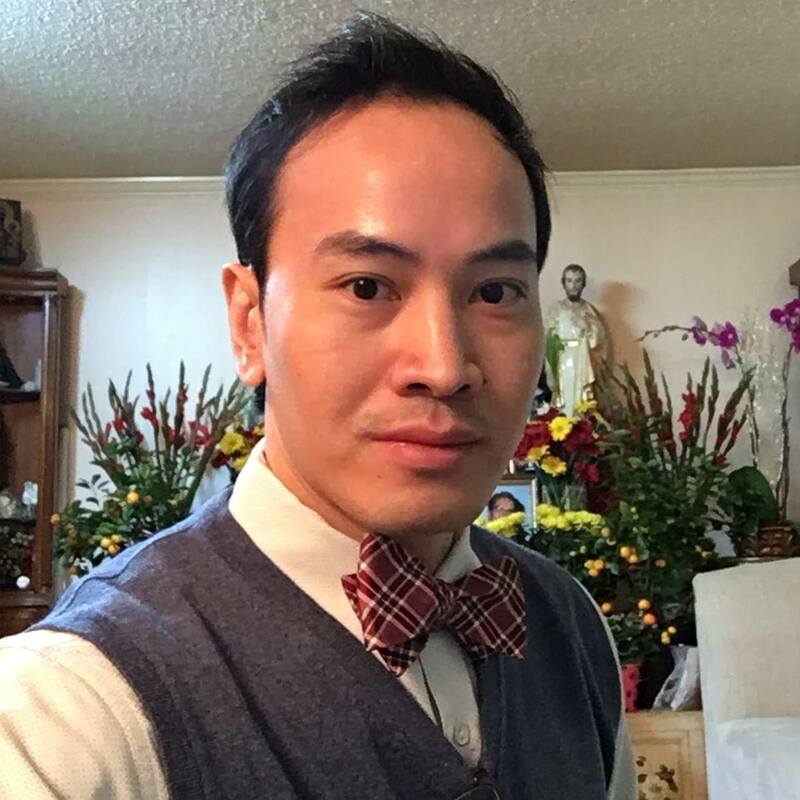 In 2017, I launched Dr. Tran BioSci to fulfill following mission of assisting investors and medical innovators through my research and consulting. Before graduate school, l worked in a cancer research lab as a research assistant at UNC-Chapel Hill. While working there, I gained my first-hand experience in the earliest phase of the drug development process. Thereafter, I dedicated a year as a teaching assistant for general and organic chemistry at UNC-Charlotte. This experience helped me to elucidates the intricacies of science in simple terms for all readers. In 2007, I earned a master of science degree at the Columbia University in New York, where I focused on the research relating to human nutrition and medicine. Through the Institute of Human Nutrition, I published as an author in the respectable Encyclopedia of Obesity along with the renowned Professor Kathleen Keller. The wisdom learned from top notched faculties at Columbia enabled me to gain invaluable insights into the efficacy and safety of developing therapeutics. In 2013, I received my doctoral degree from East Carolina University. The expertise as a medical doctor helped me to be cognizant of the prescribing patterns and the roles of medicine in disease management. Further, it enabled me to recognize the unfilled therapeutic needs as well as to gauge which innovating drugs are likely to achieve market success. In finance, I've studied extensively from the works of world renown investors, not limited to Phillip Fisher, Benjamin Graham, Warren Buffett, John Templeton, Mohnish Pabrai, and Joel Greenblatt. Despite my reception toward the advancement in this digital information age, I adamantly adhere to the timeless fundamentals of intelligent investing. Leveraging on my diverse background, I pioneered the analytical methodology coined integrated research. This comprehensive style enabled me to accurately forecast clinical trials outcomes far in advance of the market. Notable studies include the Flint trials of Intercept Pharmaceuticals and the Ascend trials of InterMune Inc. Most firms that I covered in the previous years gained multiple folds for investors either through share price appreciation or complete acquisition. Key examples are Medivation, Jazz Pharmaceuticals, and Exelixis, Inc. Through my work, I formed meaningful relationships with professional as well as retail investors, KOLs, and CEOs. And my research intelligence is well-respected by market leaders, policy makers, medical experts as well as investors. In the early days of market experimentation, I issued a few short articles. Nonetheless, I predominantly published long investing theses, as the rewards are most substantial. In testing the water with short theses publications as stated, I refined my skills in avoiding weak firms and in picking winners. Interestingly, my overall short accuracy has been more accurate than long. KOLs who short firms seek my counsel. And the rare short theses that I issued have yet to see daylight. Despite that I am bound to make more mistakes, I hope to continue a highly accurate track record of trial data analysis in the future. With much wisdom of a maverick as well as the invaluable experience gained in my rookie years, I'm now poised to publish mostly long thesis to unlock premium valuations. Asides my emphasis on the biopharmaceuticals industry, I will venture into other businesses as the opportunities arise. Thank you, and I look forward to providing stellar services as well as to learn from you. Hung V. Tran, M.D., M.S., C.N.P.R.